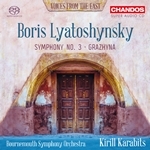 En enero Chandos Records nos presenta dentro de la serie ” Voces del este” obras sinfónicas del compositor ucraniano Boris Lyatoshynsky por la Bournemouth Symphony Orchestra bajo la dirección de Kirill Karabits – Кирило Карабиць, que ya pueden reservar en ArkivMusic https://bit.ly/2GoqV7c. This performance should stand as an example to performers and listeners everywhere. Schumann and Wagner in 1850. With Steven Isserlis and Bournemouth Symphony. Українець Кирило Карабиць дебютував у статусі генерального музичного директора Німецького національного театру і головного диригента Державної капели у Веймарі. Was wert die Kunst und was sie gilt. 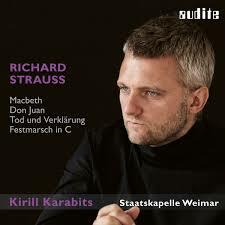 Kirill Karabits gibt mit Richard Wagners oper “Die Meistersinger von Nürnberg” in Weimar seinen Einstand als musikalischer Chef: Ein erstaunlicher Abend. Karabits is an inspired architect….He has an energising presence on the podium, without being domineering…he paced the whirlwind finale in a way that brought the house down.